Way to Go! 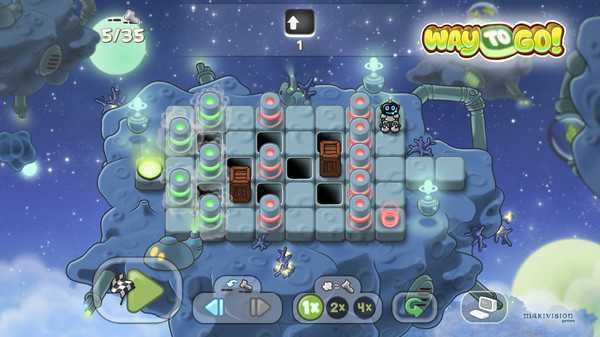 is a game with simple rules and surprisingly tricky puzzles. The Temple of Peace is in disarray: somebody has stolen the gems from the tree that bears jewels for all the peoples of the world. Help your three little heroes Rob, Egg and Liz to find the gems again! Just use the mouse to drag commands onto the tiles and guide your heroes to the exit. You can rewind at any time to correct mistakes. Way to Go! 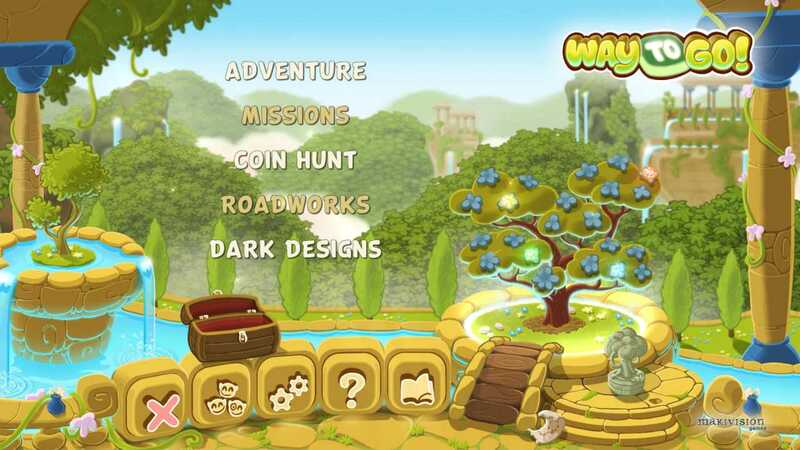 has over 400 levels, guaranteeing hours of fun. 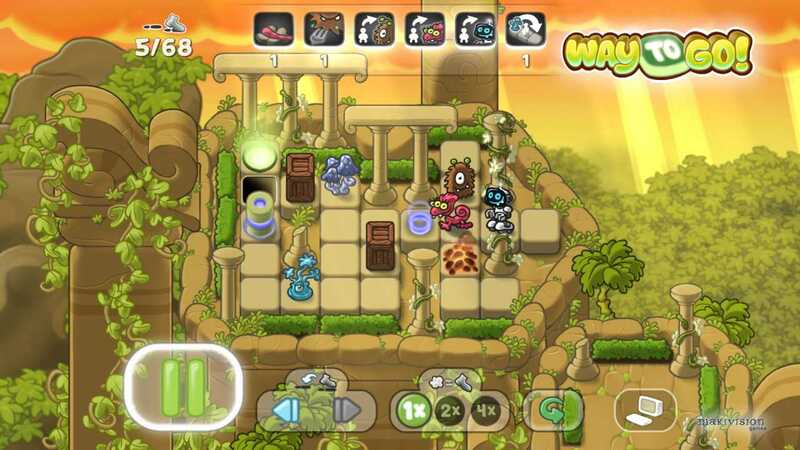 Over 400 tricky puzzles, intuitive controls and cute heroes guarantee hours of fun.